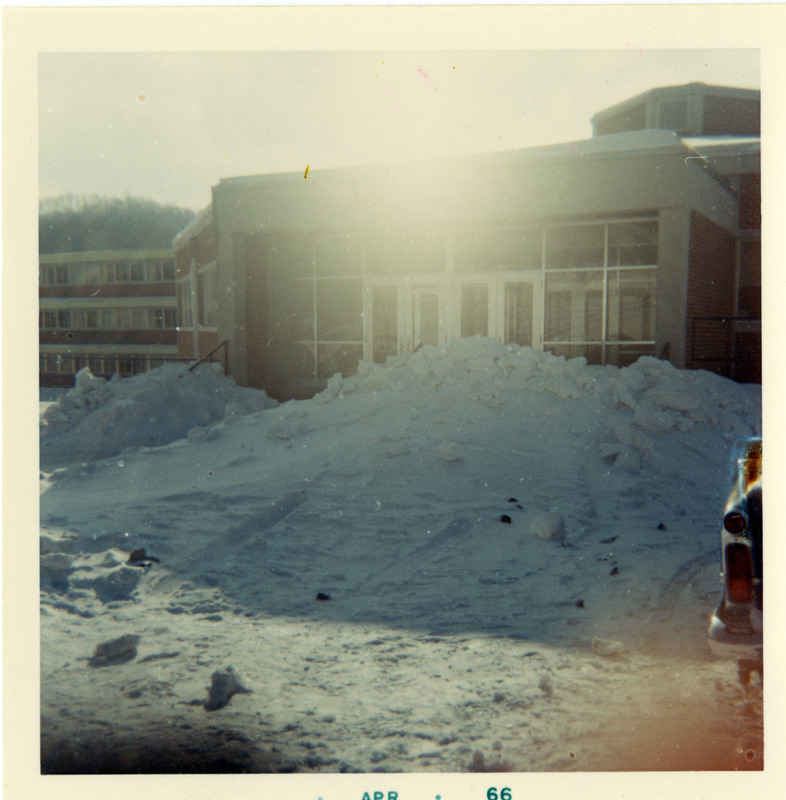 A photograph of Appalachian State Teachers College (which would become Appalachian State University the next year) after snowfall in January 1966. 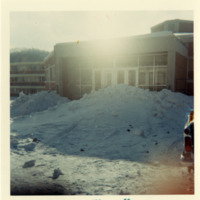 Edwin Duncan Hall is shown, with a large snow bank blocking the entrance to the building. The taillight of a car is visible to the right of the photograph. An inscription on the back of the photograph reads: "Snow in front of Duncan Hall, A.S.U. 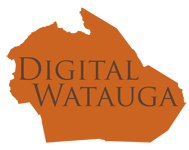 Jan, 1966"
Unknown, “January Snow, Image 5,” Digital Watauga, accessed April 25, 2019, http://digitalwatauga.org/items/show/6818.